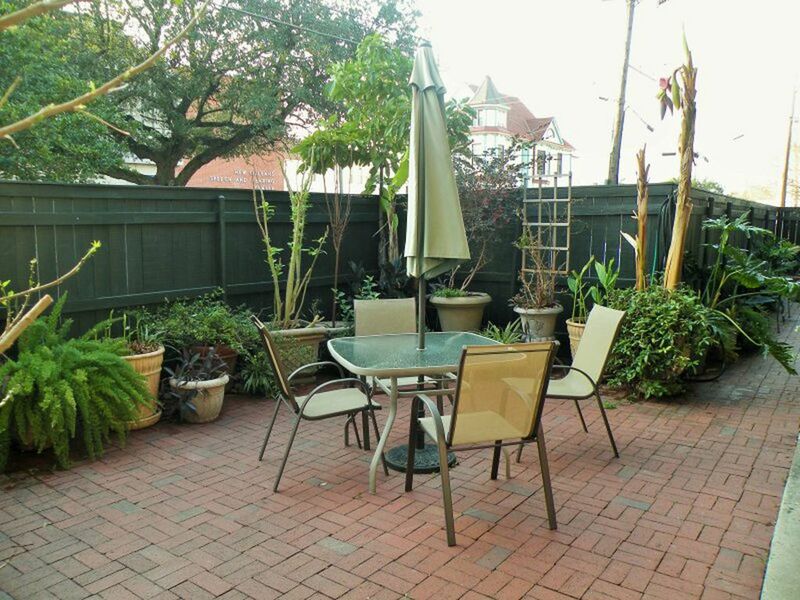 This Condo is in a nice location for New Orleans Garden District/ Uptown living. Just steps from Saint Charles Avenue to watch the Mardi Gras parades, or to catch the streetcar to the French Quarter. This condo unit is newly renovated, clean, and has everything to make for a nice little get away. This unit offers off street parking, a very comfortable queen size bed, and a pull out sleep if you're going to invite extra guest. Just across St. Charles is a very nice grocery store, near restaurants, and shopping on Magazine St a few blocks away. Come on out and enjoy our city, and our festivals. In the living room we have a small flat internet Roku screen TV. Wifi is available in all the rooms. Lovely place in a beautiful part of town! This property was in a beautiful and picturesque part of town. Close to everything. Great walks to Magazine Street and to New Orleans Coffee House and Beignets. This was a great place to come back to in the evenings. Great location; clean, quiet, easy access. About 50 yds from a St. Charles streetcar stop, easy walk to Garden District. Quiet! Not a lot of closet or dresser space for clothes. Good cooking facilities/fridge. Apartment is up one flight of stairs. Be prepared for the TV setup, which tests your skill. Excellent location and very comfortable, clean apartment! Excellent location and very comfortable, clean apartment. It had s great parking space and was very well lit with security gate. Apt. was really nice. We had everything we needed. Good size apartment in a clean and tidy condition with everything we needed and very close to the streetcar stop. Would have liked some instructions on how to work the TV and was there recycling in New Orleans and where the rubbish went, but we when we contacted Indira she was very helpful. The dishwasher didn't drain properly and we contacted Indira who was going to send a tradesman but one didn't come while we were there. Very close to the supermarket which was helpful as we didn't have a car while we were there.